the music business. To ensure you get the DJ who suits your wants and needs, we suggest you book your DJ sooner..reather than later. business valley wide, you can be assured of our quality service each and every time! DJ open for you, we’ll send you a contract to lock in our services for you. event in Tempe, we have..and we will deliver…the absolute best music for your event! Friends are still talking a year later! Jimmy was fantastic! He made the whole process easy and made suggestions that were perfect for our big day. He has a wide variety of music and used a mix of music styles to make our reception a good time for everyone. Our friends and family are still talking about our wedding a year later and we got compliments from our venue saying it was the best reception they had seen in three years. So glad we went through Citron Sound! Ask for Elliot! We were so beyond thrilled with our choice for DJ. I am so glad I went through Citron Sound and they recommended Elliot to me and he was AMAZING! He played exactly what we wanted and kept the party going and on track. He had fun with everyone and even has his own photo booth you can rent which we did, and it was AWESOME! That was a huge hit with our guests and we are waiting on the disk with all of the photos from the night which should be interesting haha. A huge thank you to Citron Sound and an even bigger Thank you to Elliot for doing a GREAT job! Jimmy Davenport from Citron Sound was our DJ. He read the crowd throughout the night and kept the party going. His facilitation of the many events was outstanding. The bride & groom throughout the night received complements with the DJ. Jimmy was a key reason for the fun times that were “had” at the reception. Citron Sound is a class act. It was important to have good sound! DJ Jimmy Davenport was the best DJ/MC! He did sound for the ceremony, cocktail, and reception and all were at three different places in the same venue right after the other. For an outdoor ceremony, it was important to have good sound. DJ Jimmy played track music for some parts of the ceremony and made sure the band sounded great. For the reception, he played all the music we previously requested and everyone had a fabulous time. A DJ can make or break your wedding reception! Jimmy Davenport of Citron Sound Services is the BEST DJ – he was absolutely perfect at our wedding! Jimmy actually DJ’d my sister’s wedding a few years ago, and he did just as amazing of a job. Jim spent so much time with us planning the schedule of our wedding reception, going over all of the music selections, and even went into details such as knowing our parents, grandparents, and syblings names. Everything flowed so smoothly at the reception, and our guests were dancing the entire night. As I’m sure you know, a DJ can make or break your wedding reception. Book Jim Davenport of Citron Sound and you will be a VERY happy bride! Best DJ and MC in town!!! Jimmy Davenport is a wonderful professional that pays attention to all the wedding details, he got together with us a few times before the wedding, he would always returned our calls and the communication via e-mail was great. The day of the wedding he had everything in place, he looks at the ambiance of the room and that is the music he plays, you can hardly see people seating down everyone is on the dance floor having a wonderful time. If I have another event definite I will contact Jimmy. Everyone was up and dancing! Ramsey B was our DJ for the evening and did not disappoint! He was AMAZING!!! Everyone was up and dancing and having a wonderful time, he was fun and playful and at the end of the night all the guests were talking about how wonderful the DJ was!!! Our wedding was made memorable by the coming together of two, as well as the Awesome Party everyone enjoyed!!! I would HIGHLY recommend DJ Ramsey and Citron Sound! Thank you so much for entertaining not only us, but all of our guests as well. Always available to answer any questions! Thank you Citron Sound for providing ‘Jimmy D’, an outstanding DJ and Master of Ceremonies, for my daughter’s wedding. Jimmy planned with us early to ensure a successful wedding ceremony and reception. He was always available to answer any questions, easily accessible by phone or email. His expertise and professionalism allowed this Mother of the Bride to enjoy the day! The cost was great and the DJ was wonderful! We received Elliot Mogerman as our DJ for our wedding through Citron Sound. He was great to work with and on top of everything! He provided a basic framework for the day with song selections as well as made a call before the wedding for finalizing all details and selections. The cost was great and he was wonderful. He even provided up lighting for the event that was beautiful and really set the stage. I highly recommend him for events. A week before the wedding we were in need of a DJ. Thankfully we called Citron Sound, who hooked us up! 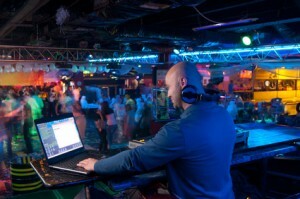 Our DJ was so personable and energetic, an he was prompt and professionally dressed. So many guests commented on how quickly he responded to their requests. If I was in need of a DJ again, I would definitely call this company! Ramsey Bergeron of Citron Sounds was our DJ for our wedding. Ramsey provided a level of professionalism and service that was impressive. He was interactive with our guests and provided great song selections along with incorporating some of our song lists. Ramsey was fun to work with, and helped to make our wedding day go smoothly. I would highly recommend Ramsey and Citron Sounds for any DJ needs – well worth the cost! Put on an awesome party! My husband and I were very impressed with Jimmy’s pre-wedding preparation and he facilitated a wonderful reception. The reception went so fast because Jimmy made sure everyone was having a great time and he helped us put on an awesome party. Our guests keep raving about how great our DJ was. I highly recommend him! We had Ramsey as our DJ from this company. He did an amazing job. They make sure that you have the songs you want. We loved the customer survey because you can personalize your ceremony and reception music and get exactly what you want. After meeting with several DJ’s, we felt like Goldilocks and her Bears- one DJ would hog the show, another had NO personality, but Jimmy was “just right”. He listened to what we wanted out of a DJ, and then delivered on our wedding day…Overall, Jimmy did a great job: he stayed in the background, but added such fun and energy to the reception, that we got exactly what we wanted: a party where everyone was still talking about the dancing for weeks after the wedding. Jim Davenport is an outstanding DJ. We had many compliments on him. He is a pleasure to work with and knows what he’s doing. We didn’t have to worry about a thing; that was a huge relief! We have recommended Jim and your company to quite a few people. Thank you for a job well done and making our planning much easier! Rich Kirchner was very nice to work with! He was on time and dressed nicely. Thank you! Our DJ Jimmy really got to know us and checked in during our wedding planning process. I planned from out of state so he Skyped with us to make sure he knew every detail from how to pronounce everyone’s name to coordinating with out other vendors. He really got the concept and created the party atmosphere we wanted on our big day. Jimmy was my DJ, and he was WONDERFUL. He truly made the evening. Everyone raved about him, and my mother-in-law (who originally wanted a band for the wedding) said after the fact that she was wrong, and Jimmy was the right choice for the wedding. Jimmy was just perfect. He said enough, but didn’t say too much, played the right music, and understood what I liked and didn’t, and adjusted accordingly. He puts the bride and groom’s wishes first and foremost, and it shows in his work. Truly, you can’t go wrong if you hire Jimmy. Citron did a great job at our wedding! Citron did a great job at our wedding this summer. Ramsey was awesome, and played music that was well-suited for our crowd. As the bride, I danced all night! It is so easy to get in touch with the company, the DJ will keep in touch, and overall, a great company that makes planning a big day a bit easier. So good, he’s DJing my sister’s wedding, too! Our DJ was so professional. He told us everything we could do and had new and exciting ideas that no other dj company was doing. When we got to our reception and it was everything we expected and more. He made all of our announcements and got all our guests on the dance floor! I would definitely recommend him to anyone… Matter of fact he’s DJing my sister’s wedding this fall!! Vinny DiJohn did a great job! What a class act. He was very professional and very involved. Everyone had a great time and enjoyed his work. Thank you for a wonderful evening. We worked with Elliott Mogerman from Citron Sound and had a great experience with him. He helped walk us through our wedding ceremony and reception music selections, and was very easy to reach with questions, and extremely kind. He did a great job of MC-ing our wedding and getting people engaged in the evening. Highly recommend Elliott and Citron Sound! We used Jon Citron Entertainment and were really pleased. Elliot was our DJ and he was great…a lot of fun! He always listened through emails back and forth about what were were looking for music-wise and was very flexible as we changed things. Very easy to work with too. Can’t say enough about Citron Sound! Choose Citron Sound or you will be missing out! Citron Sound is amazingly wonderful. Jimmy Davenport was our DJ and made our night memorable and fun for our guests. He invited us to his home for our final walk through of the event, made suggestions and encouraged us during the process. Citron Sound is by far the best entertainment company in Phoenix and has won many awards for being the best. If you do not choose Citron Sound, you will be missing out on a great party. Lastly, the cost of the services provided was reasonable and far less than most others. He kept the crowd going all night long! Ramsey (Bergeron) did a fantastic job at our wedding reception. He was very organized at every meeting we had with him and that assured us that we would have a wonderful DJ! At the event, he played energetic music that kept the crowd going all night long. We’d like to reserve him for next year! Michael Duffy did a fabulous job! We’d like to go ahead and reserve him for next year! Thanks! We hired Jimmy Davenport as our wedding DJ and almost two years later, still receive positive feedback about how wonderful a job he did! Jimmy really fed off of the energy of our guests and played music that kept EVERYONE on the dance floor all night long. Guests even chanted, “One more song!” at the end of the night! We met with Jimmy prior to the wedding and he was very thorough in noting the exact songs that we wanted for our first dance, garter toss, cake cutting etc., including verifying which artists we preferred for the more popular songs. Citron Sound is amazingly wonderful. Jimmy Davenport was our DJ and made our night memorable and fun for our guests. He invited us to his home for our final walk through of the event, made suggestions and encouraged us during the process. Citron Sound is by far the best entertainment company in Phoenix and has won many awards for being the best. If you do not choose Citron Sound, you will be missing out on a great party. Lastly, the cost of the services provided was reasonable and far less than most others. No gimmics, it is all about you! No one sat down the whole night! What can I say. Jeff started playing on our special day and NO ONE sat down the whole night. We had sooooo many compliments on his style and choice of music and lets not leave out MOJO his dog who we invited as he was loved by all!! Stop looking and make an appointment with Jeff you will not be disappointed!!! Loved Elliot! Not pushy or “over-the-top”. Kept everybody on the dance floor and frequently checked in with my husband and I on how and where we wanted the night to go. Elliot went above and beyond! Elliot (Mogerman) went above and beyond to make sure my fiance and I were totally taken care of. Bravo! Everyone told us it was the best wedding! Two great experiences with him at two weddings! My wife and I picked Jimmy to be our wedding DJ/MC because he rocks, and we had 2 great experiences with him at 2 weddings! We first saw him as the DJ/MC at my good friend’s wedding last May. Day of our wedding: Jimmy was flawless. We had countless guests tell us this was the funnest wedding they had been to…with great music and energy of the reception, thanks to our amazing DJ. We wish we could go to more weddings with him there. Jimmy was our DJ for both our ceremony and reception. He did a great job making everything smoothly run together. Our reception was a ton of fun, and all of our guests were out on the dance floor until the reception ended! We had so much fun, and Jimmy is the reason for much of that! We had guests who kept telling us how great Jimmy was – if you’re looking for a DJ that is going to make your reception an amazing party, hire Jimmy as your DJ! I knew the music would be perfect! Jon Citron was so professional. Thank you! Thank you! When our big day came, I knew the music would be perfect. I did not have to worry about that at all. I will recommend him to anyone that asks! Most importantly – not cheesy! DJ Jim Davenport was FANTASTIC! In terms of the reception, he kept all of the events on schedule and more importantly, made it fun for everyone involved. Throughout the night, he had a feel for the mood of the crowd, knowing when to turn it up or down. He played a wide assortment of music, based on what we told him but also based on the crowd’s reaction. We had a young, fun crowd mixed with some older adults and everyone had a blast! FUN Bees 🙂 Prior to the wedding, we met with him twice and he was very easy to work with and LOVES his job. Jim was professional, but not stiff, and most importantly-not cheesy! Two of my friends will be using him! Jim Davenport was exceptional. Jim had everyone on the dance floor in a matter of seconds! Two of my friends liked him so much that they are using him for their wedding! He played a mix of music that everyone enjoyed, and never tried to steel the show. He made our wedding a ton of fun!